CVSL are delighted to announce another superb stock offer. This time it is on the stylish Mercedes-Benz SLK Diesel Roadster AMG Sport 250 CDI. Utilising its brand-new 4-cylinder common rail diesel engine design, the SLK 250 CDI produces 204 hp and an astonishing 500 Nm of torque. 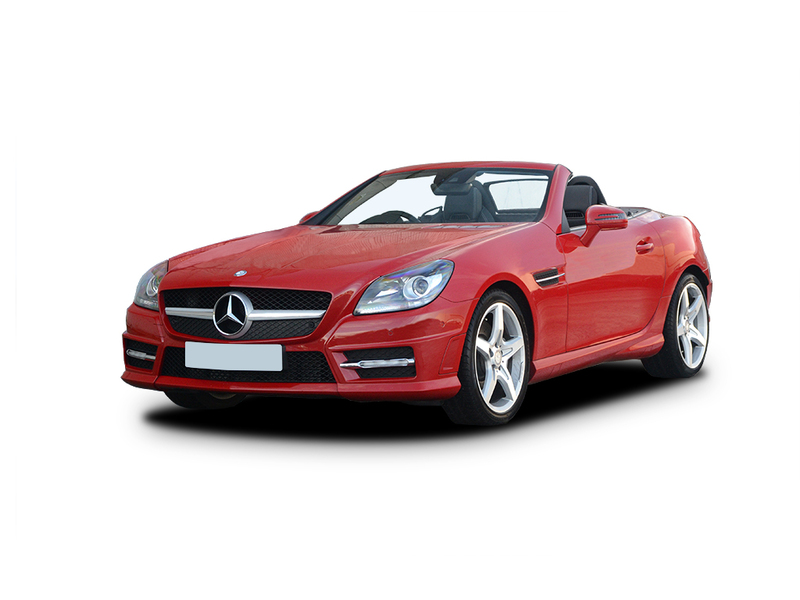 The Mercedes-Benz SLK Diesel Roadster AMG Sport 250 CDI is available with an initial deposit of just £1499.94 followed by 23 month contract hire payments of £249.99+VAT per month. Call CVSL today on 0800 085 4256 to order. We only have a limited number available, so make sure you get in quick! The 2014 World Cup is nearly here. We love football as much as you do, which is why we have asked our friend Viv Anderson to provide us with some tips on the players to look out for in this year’s tournament. Viv Anderson knows a thing or two about football having won two European Cups with Nottingham Forest and been part of the England World Cup squads in both 1982 and 1986. So it should be interesting to hear his views. Iker Casillas is perhaps the world’s best goalkeeper and he has captained Spain to victory in their last three major tournaments – Euro 2008, 2010 World Cup and Euro 2012. His reputation has been built on his ability to make spectacular saves when opposing teams have looked certain to score. Viv’s Verdict – Spanish, good handling and spectacular performance; Iker Casillas is exactly like the SEAT Leon Diesel Hatchback, available from just £199 per month at CVSL. German captain, Philipp Lahm will be playing at his third World Cup and has made 105 national team appearances – an impressive feat for a 30-year-old! Lahm has excelled on both sides of Germany’s defence in recent years, where his versatility has proved to be a real asset. Viv’s Verdict – Lahm reminds me of another versatile German: the VW Sharan – the seven-seat MPV that’s both capable and comfortable. Diego Godin, who recently scored in the Champions League final for Atletico Madrid, has been one of the best defenders in the world over the last 12 months. A fast and composed centre back, Godin has become an immovable presence in Uruguay’s backline. Viv’s Verdict – Uruguayan cars must not have made it to Altrincham yet! With that imposing presence, Godin is just like the Jaguar XF luxury saloon – available at just £269 per month from CVSL! Hard tackling centre back Giorgio Chiellini was recently voted the seventh-best footballer in Europe by media organisation Bloomberg. Starting his career as a left back, Chiellini has developed into a popular and consistent centre back, capable of scoring goals from set pieces. Viv’s Verdict – Chiellini is Italian, tough and a commanding force, much like the Fiat 500L MPW – which you can drive away for as little as £191 per month from CVSL. 29-year-old English left back Leighton Baines is finally set to play in a World Cup tournament after being cut from the provisional squad in 2010. Although he is a defender, Baines is known for scoring crucial goals and providing assists – two of his corners in a recent friendly against Peru led to England goals. Viv’s Verdict – Come on, we had to have an Englishman! Leighton Baines is becoming an increasingly influential figure for England, just like the Land Rover Freelander has been an influential part of the English car manufacturing sector for many years. Eden Hazard has had a superb season for Chelsea and will be one of the key men for his country in the tournament. He is generally played in a wide role where he can dazzle defences with his pace, trickery and pinpoint deliveries. Viv’s Verdict – Hazard is able to dash up and down the wings like the nippy Peugeot 208 – available from £125 per month from CVSL. Yaya Toure operates as a box-to-box midfielder switching between offensive and defensive duties and making use of his strength and passing ability. He has been referred to as the “human train” by various football pundits – making reference to his stamina and how he can pop up with crucial goals towards the end of play. Viv’s Verdict – Yaya Toure is built for long distances, much like the Mercedes Benz E-Class – stylish, designed for high mileage and currently on offer at CVSL for £254 per month. Julian Draxler is the latest world-class footballer to come through the German production line. At just 20, Draxler has been playing regular football in the Bundesliga for more than two years. Not only is the young German technically proficient, he also has an eye for goal. He’s definitely one to watch! Viv’s Verdict – For me, Julian Draxler is comparable to an Audi A7 – luxurious, well-built, German (of course) and capable of moments of magic. The 2013 Ballon d’Or winner has the ability to win matches single-handedly and he can easily give nightmares to the opposition defenders. His dangerous long shot, pace, athletic ability and aerial prowess all add up to make him a complete footballer. Viv’s Verdict – The complete footballer can only be compared to the complete car. Cristiano Ronaldo is like a Porsche Cayenne – technically superb, built to last and the performance is sensational. Lionel Messi has unprecedented dominance at club level but has never been able to repeat this form at international level. Playing in hostile territory (Brazil), Argentine fans will be hoping that their star attacker can be at his absolute best in the World Cup. Viv’s Verdict – Just like the Mercedes-Benz SLK, Lionel Messi may be small and compact, but you simply can’t take your eyes off him. Daniel Sturridge is a match winner, and all eyes will be on him here in England. He’s a young, up-and-coming striker known for explosive pace, dribbling skills and clinical finishing – he is an absolute handful for the opposition. Sturridge is a star in the making and he has had a fantastic season for Liverpool, let’s hope he can score the goals to take England into the knockout rounds. Viv’s Verdict – Sturridge reminds me of the Range Rover Evoque – unquestionable style, premium appeal and outstanding performance. Welcome to today’s special offer blog from CVSL. Bringing you the latest online car leasing and contract hire deals. Today’s featured offer is the functional Nissan Qashqai+2 – a practical seven-seater which epitomises comfort and style. The Nissan Qashqai+2 is available from just £199.72 per month (excluding VAT) from CVSL on a four year contract hire deal. Call CVSL today on 0800 085 4256 and find out more about their great Nissan car leasing offers. 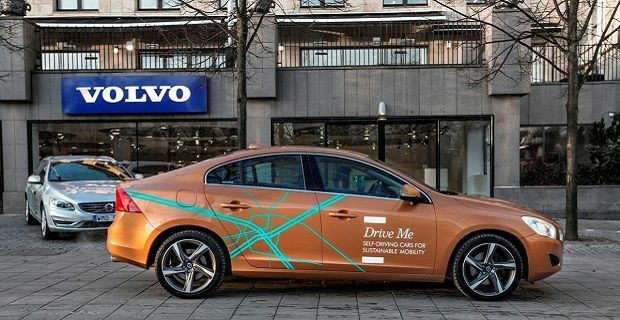 Volvo are launching its ‘Drive Me’ program in 2014 with a budget of $76.2 million with its aim to bring there self -drive car to the streets of Gothenburg in Sweden by 2017. It will start with 100 self drive cars fitted with a set of cameras, GPS data and motion sensors and have the maximum speed set at 43.5 mph. At the press conference launch, Erik Coelingh, technical specialist at the Volvo Car Group, explained how the project will focus on showing how easily the car will be able to handle all possible traffic scenarios by judging traffic flow and letting the driver regain control when required. He also outlined how the program will focus on a number of key issues including Customer confidence in the vehicles and also how surrounding drivers will react to being on the roads with self-driving cars. The project also takes into account that the cars will be able to park themselves without a driver in the car. So, you can leave your car at the car park entrance and it will find an empty space and park itself. Nissan are also entering the self drive market but it won’t have its models ready until 2020. The latest news from the HMRC is that they have published updated advisory fuel rates, which show reductions in the majority of categories. These rates apply to all journeys on or after 1 December 2013 until further notice.